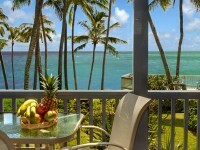 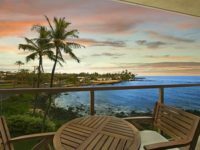 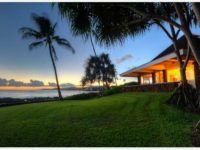 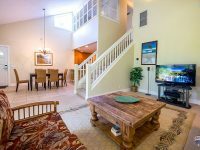 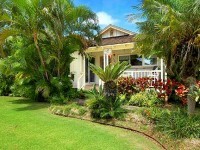 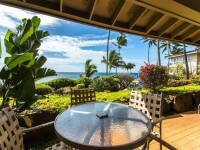 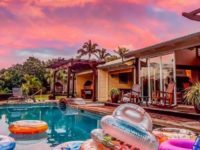 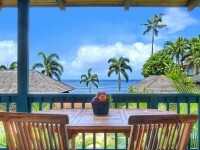 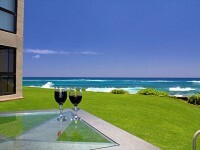 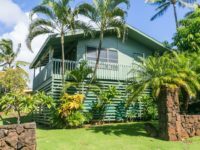 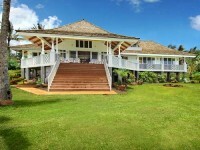 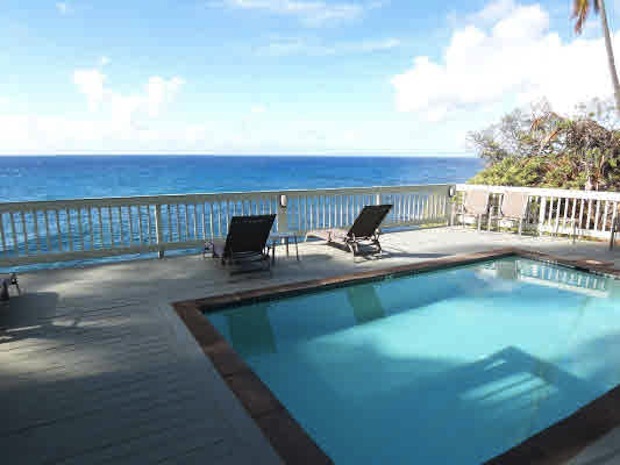 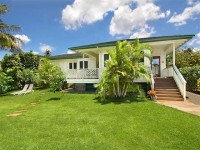 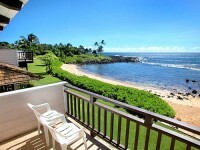 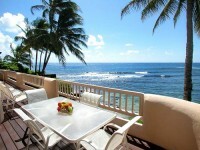 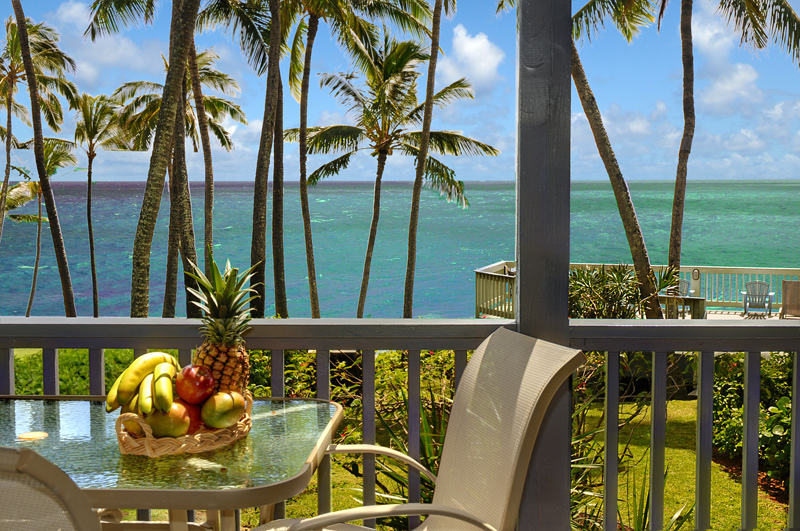 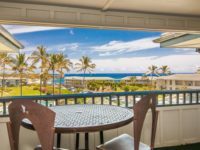 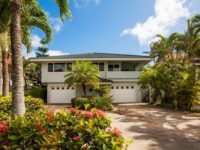 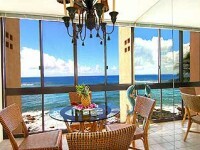 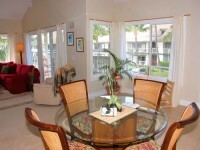 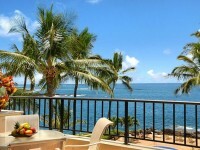 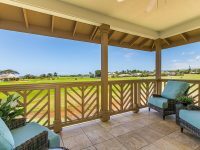 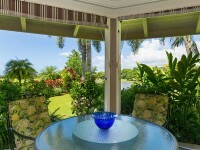 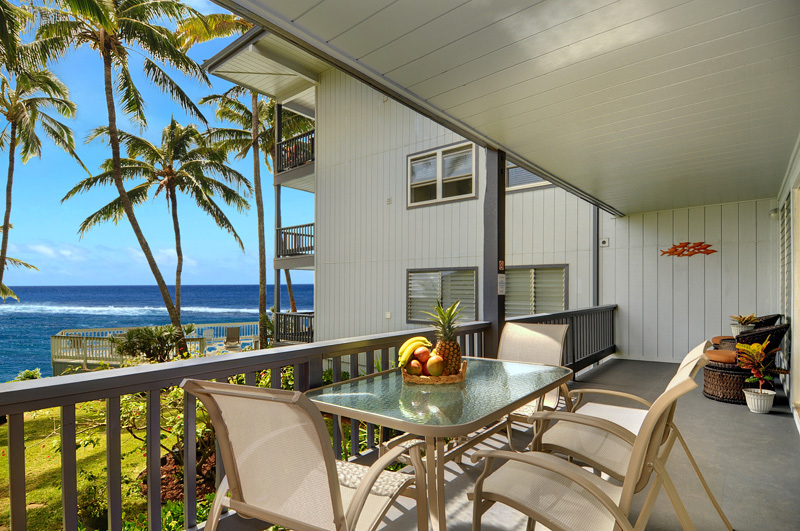 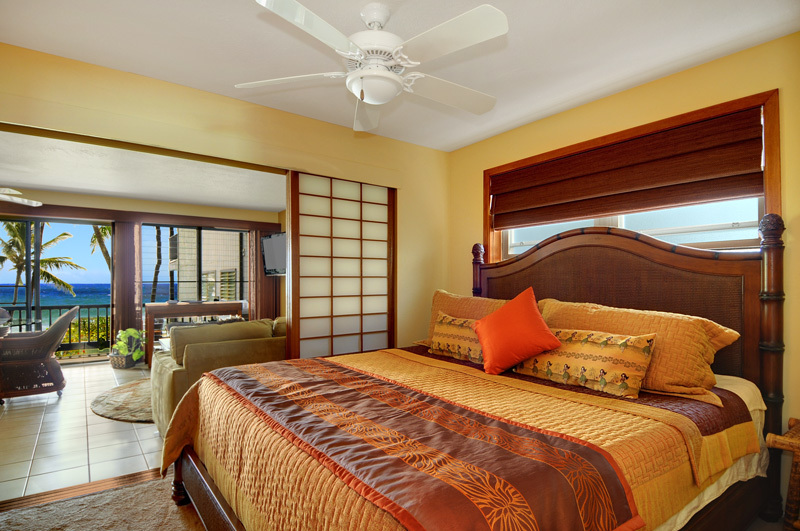 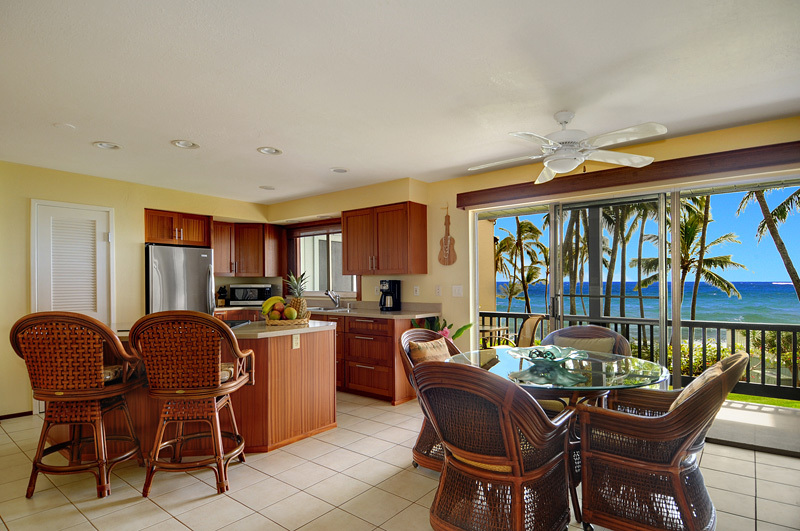 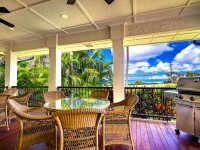 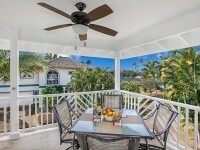 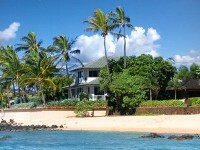 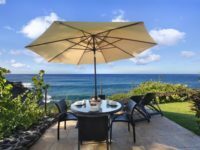 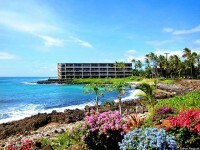 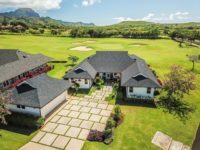 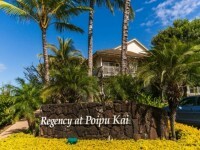 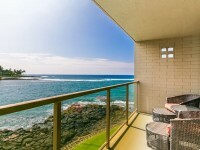 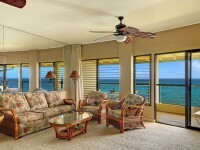 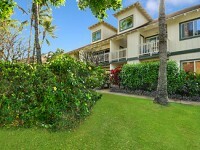 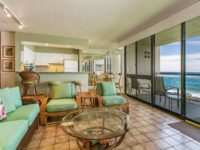 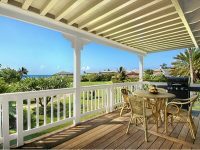 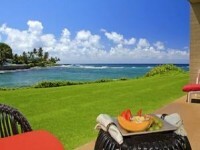 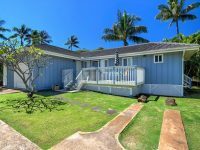 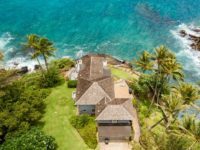 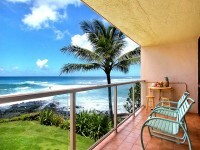 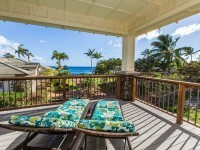 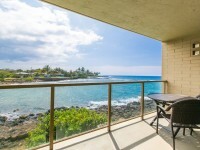 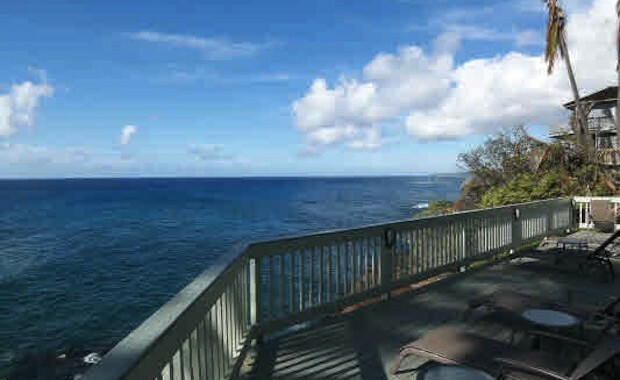 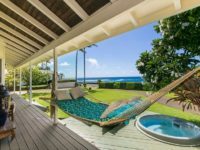 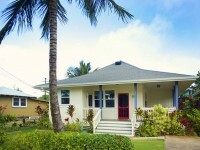 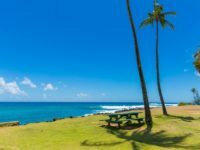 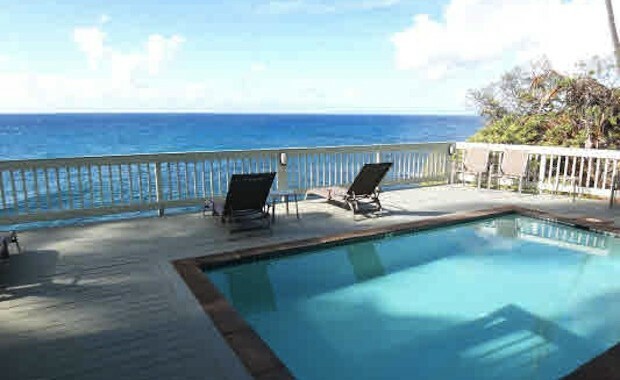 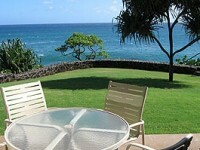 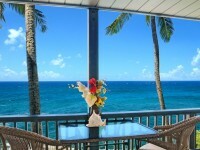 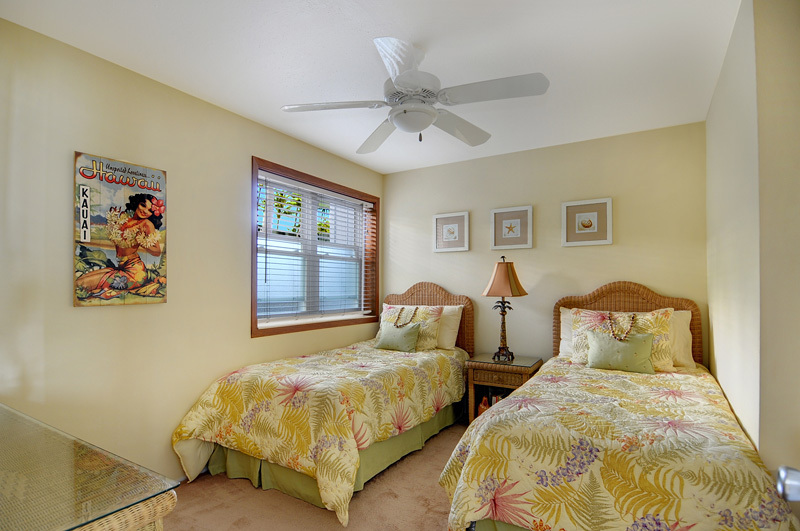 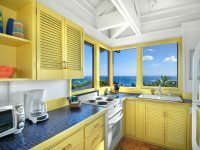 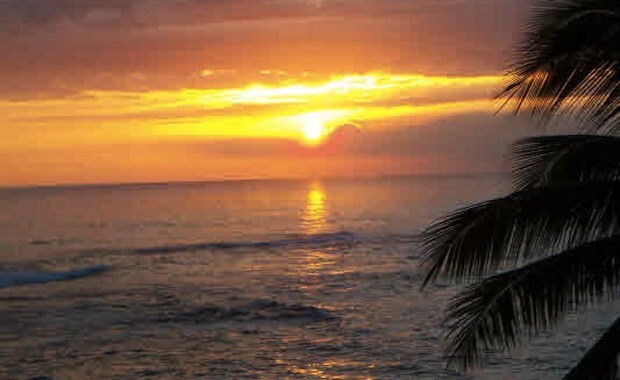 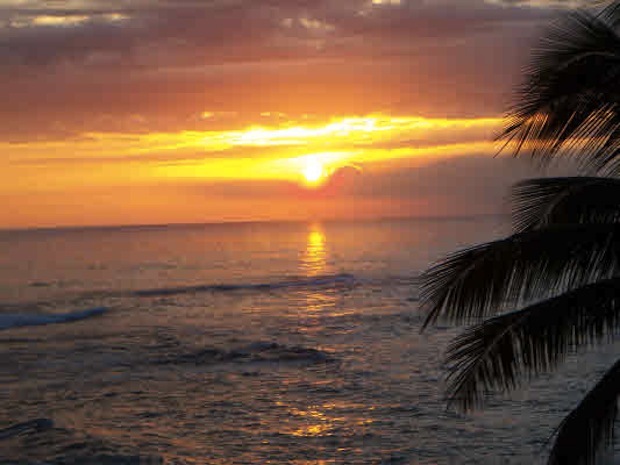 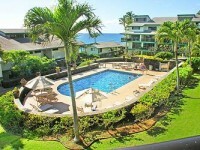 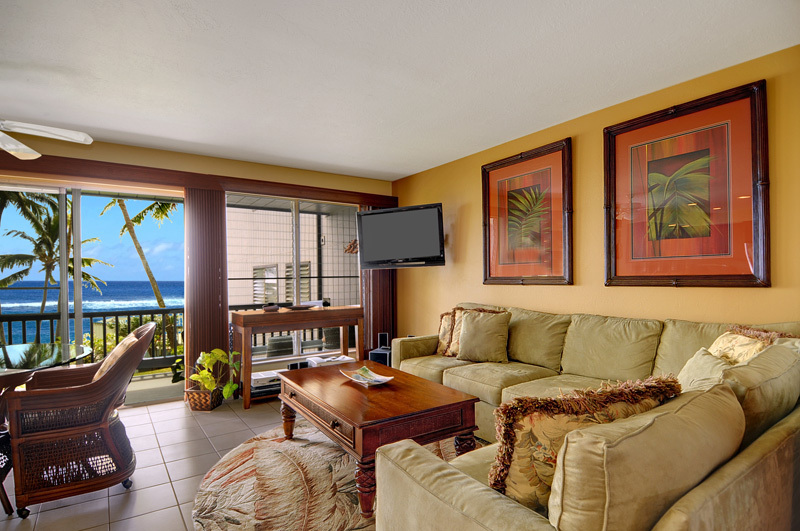 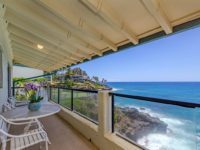 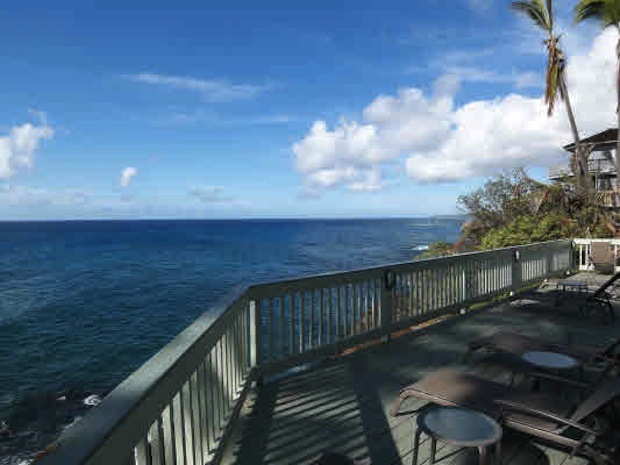 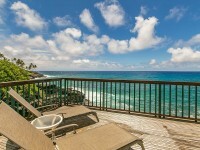 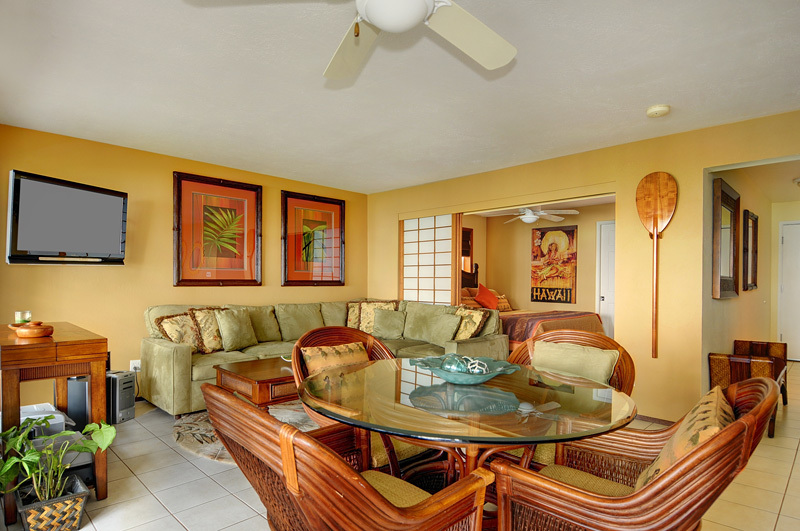 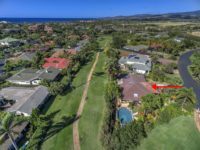 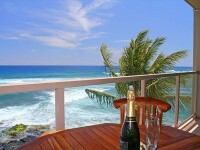 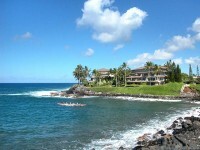 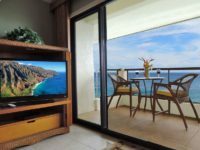 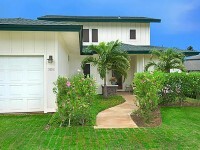 POIPU, KAUAI VACATION RENTAL: A quaint oceanfront development, Poipu Palms has just 12 condos nestled on an ocean bluff on the sunny south side of the garden island. 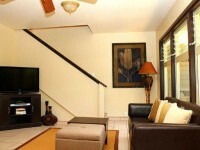 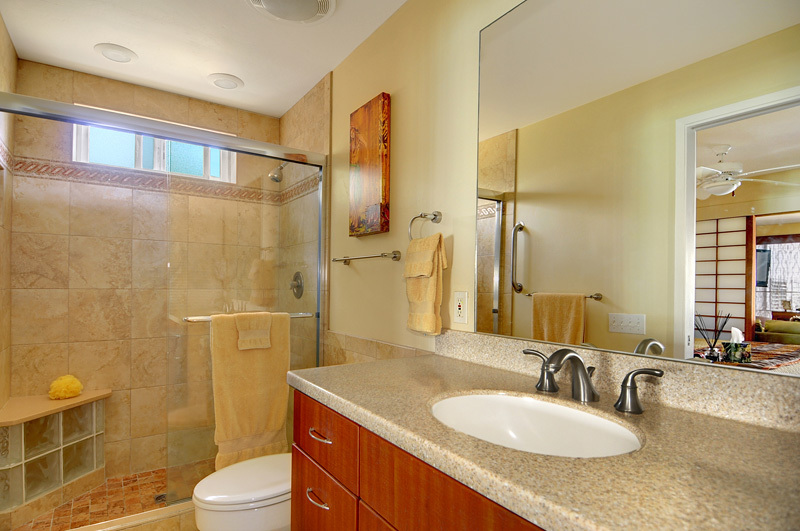 This condo has recently gone through a complete remodel. 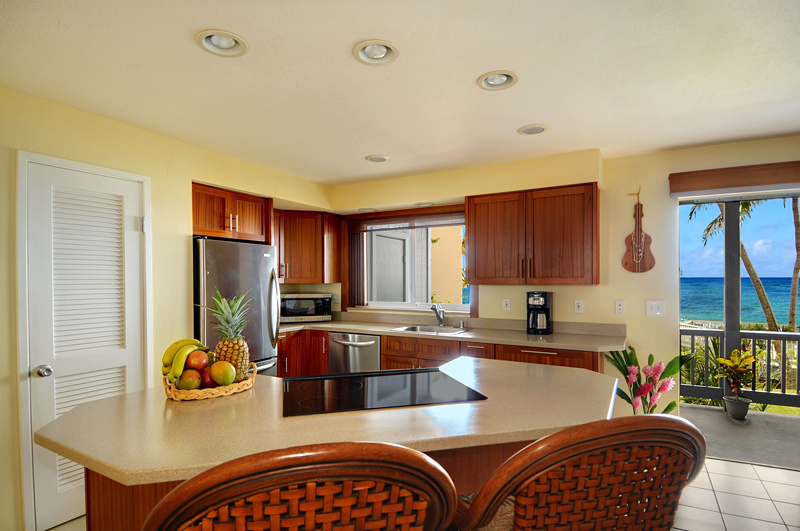 Be prepared to be impressed the minute you walk in, from the stainless steel Kenmore Elite appliances, Italian porcelain tile, luxury bedding, designer furnishings and custom window treatments to top of the line electronics and large flat screen televisions – every detail has been taken care of.